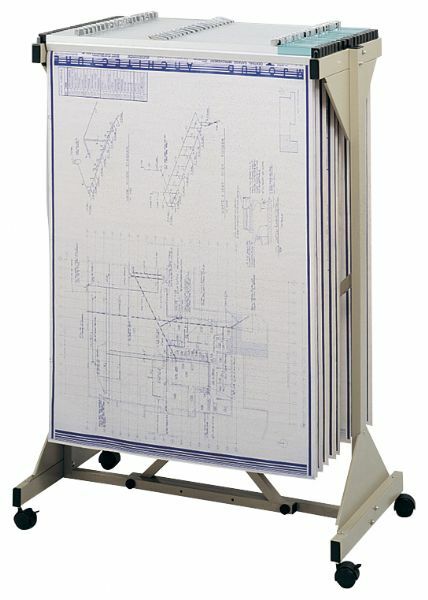 This filing system holds up to 18 hanging clamps (clamps not included) and rolls smoothly on four swivel casters. * Measures 51" high 25¾" to 43¾" wide 20½" deep. * Width adjusts to accept hanging clamps 24" to 42" long. Width Range: 25 3/4" - 43 3/4"
49" x 29" x 3"